Can we all say “Wow”? From the mirror in the entrance reflecting your arrival you’ll pity those mermaids stuck beneath the ocean floor! 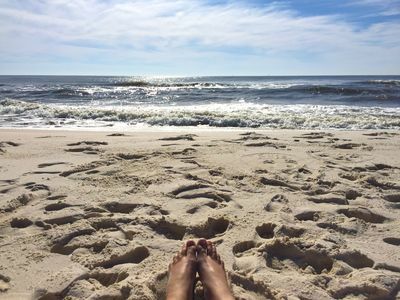 You’re about to embark on one tremendous vacation! 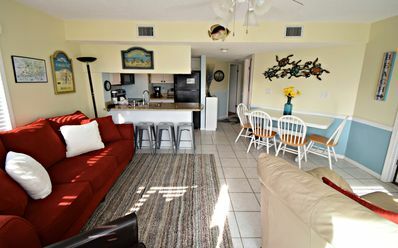 As you make your way through this colorful professionally decorated condo you will begin to feel at home immediately. When you walk into the bedroom to put down your luggage and check out the breathtaking view, you will notice that your nights will be spent in a well appointed King Bed in the Master Bedroom. 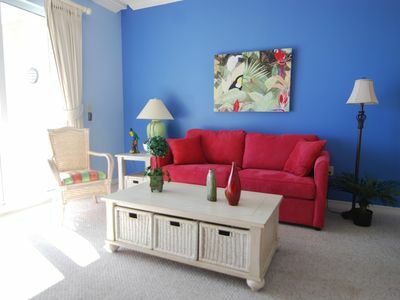 The second bedroom which is equally lovely has a king bed also to rest after your sunny days playing on the beach. If you brought a few extra people don't worry there is a sleeper sofa too. 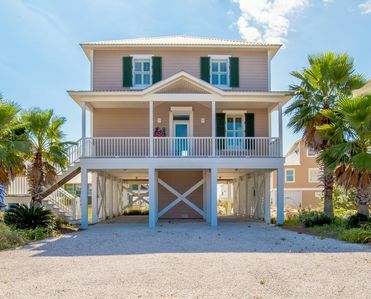 Enjoy cooking seafood for the family in the fully equipped kitchen and eat dinner as you overlook the gulf from the comfort of your living room, dining room area, or outdoor patio. There are 6 dining seats. 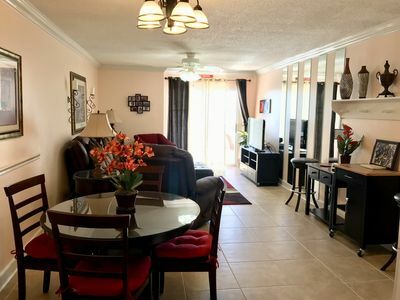 Check out the big game on the flat screen TV in the spacious living room, or the King size Master bedroom on the Gulf Side with another personal TV for those who choose to watch the race! There is also wireless internet. 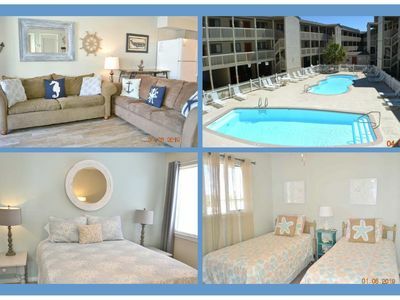 Make your reservations today…this condo stays booked!! 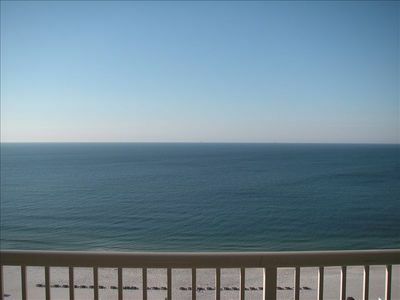 Beach Club Resort-3BR Gulf-Front Condo - Come on Down!!! 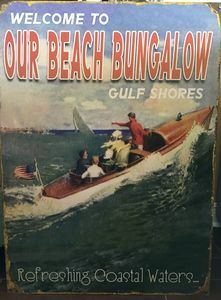 On the Gulf !!!!! 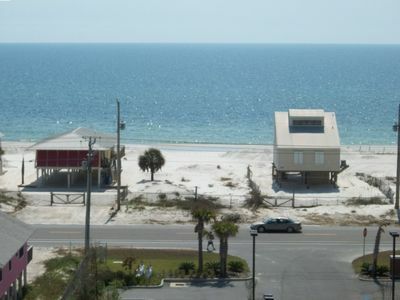 SPRING SPECIALS at Seaside Dreams!! 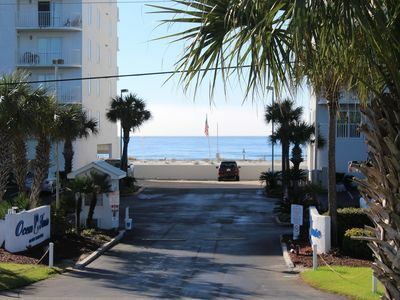 Just Steps from BEACH Boardwalk and 3 Pools! 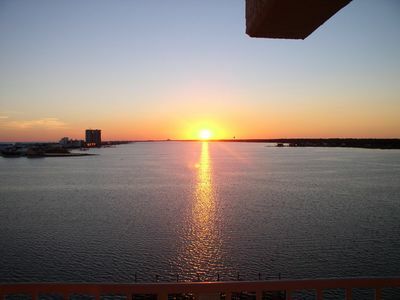 Family friendly space with beautiful Fort Morgan sunsets!